If you are ready to benefit from savings on some wonderful Anker/Eufy hardware, then you have turned up at the right time. Today’s deals are all about intelligent products within the home via the gorgeous eufy RoboVac and the Eufy Genie smart speaker complete with Alexa integration. 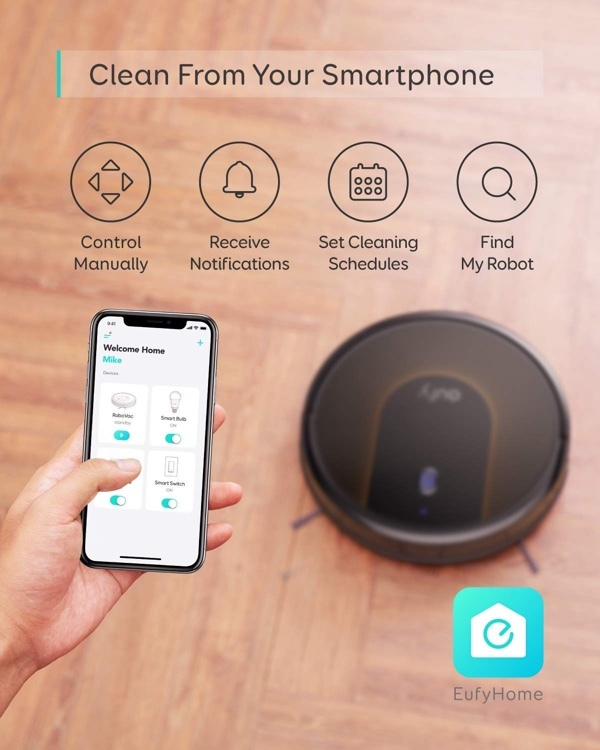 You can find out some more information about the RoboVac below but you may be extremely interested to know that if you bring that hardware into your life then you are going to be able to get the Eufy Genie smart speaker as an entirely free gift for a limited period of time. If you are tired of the monotony of having to do all vacuuming yourself, then this could be your savior. This 2.85-inch thin robot vacuum cleaner comes with WiFi capabilities to connect to your home network, 1500pa suction power and is app-controlled so that you don’t even need to be in the same building when you set it on its way. The internal battery allows it to turn for approximately 100-minutes which should be good enough for a full house clean and it is intelligently designed to say within borders, avoid obstacles, and not fall down the stairs thanks to dropping detection. Sit back and watch as this automated little miracle makes lightweight of your property. And if you make the purchase above and checkout with the EUFYGE88 discount code, then you will get the smart speaker entirely free-of-charge, which you can find out more about below. Music and technology lovers amongst us who fancy a change from using the standard Amazon hardware or the super expensive Alexa-based alternatives, step forward the Eufy Genie. It’s a voice-controlled smart speaker with Amazon’s intelligent Alexa voice assistant offering conformance to the “Alexa” wake word. It has a built-in 2W speaker designed to deliver great audio into a suitable room and is perfectly capable of controlling Alexa-compatible home hardware via voice commands. Oh, and if you are too lazy to leave your armchair, you can even order a Domino’s pizza with this speaker which comes entirely free with the purchase of the powerful RoboVac.